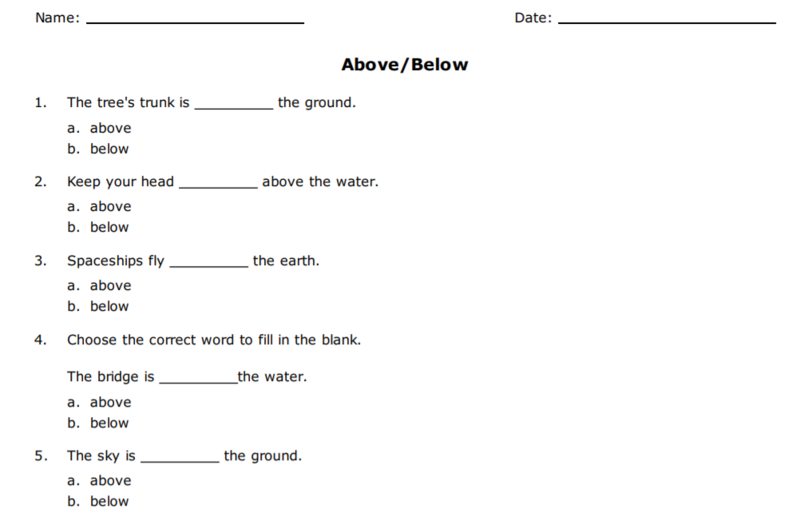 Read each sentence and choose whether the word above or below should go in the blank. This multiple choice worksheet is great for beginners and elementary learners to help them learn to distinguish between the two prepositions. Find more grammar worksheets at HelpTeaching.com.